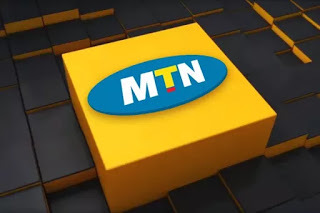 If you have been looking for a way to get cheap call rate or tariff on mtn network, then here you go as mtn ng introduces two cheapest call tariff plan which is mtn XtraPro and MTN xtraspecial. This is best for the average Nigerian, as the high cost of making a minute call on mtn is high when compared to other networks. MTN XtraPro is the new cheapest call tariff plan on mtn, that allows MTN subscribers to call all networks in the country at 11K/Sec (N6.60K/min) after a daily access fee of N5. But if you don't have up N5 in your account for daily access fee, then your calls to all networks will be charged at 20K/S (N12/min). MTN XtraSpecial call tariff plan is another cheapest call tariff released by mtn, where you can make call at flat rate of 15K/Sec (N9/min) without any access fee. To migrate to the MTN XtraSpecial call tariff plans, MTN subscribers are to dial the code *408# or text 408 to 131. Mtn xtraspecial and and XtraPro are now the cheapest call tariff or rate that you can get on mtn network here in Nigeria. And also this is a big development as other networks offer better cheap call rate with bonus airtime to all networks in Nigeria.